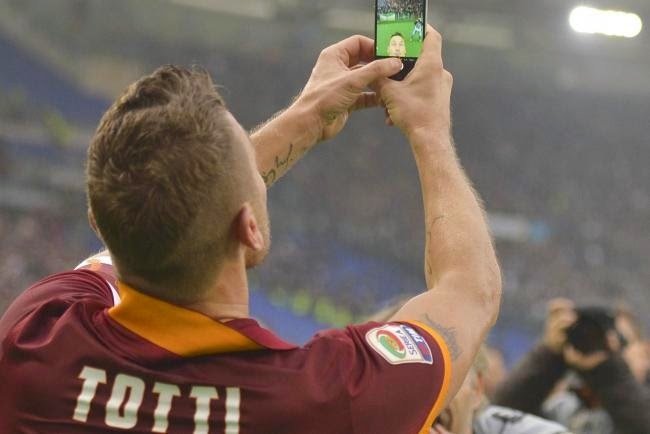 There has arguably never been a bigger hero for the Roma faithful than Francesco Totti, and the buzz caused by his decision to celebrate a goal against bitter rivals Lazio last weekend with a selfie was hardly surprising. What was perhaps slightly more surprising though was the decision of one fan to immortalize the image in ink. Now here at FootyFair we are all fans of tattoos, but this effort looks like the artist had his or her eyes closed when doing it up. 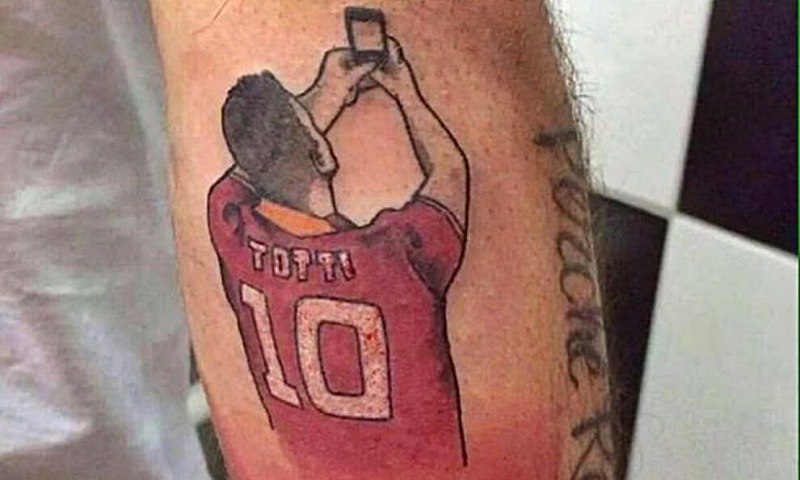 I think this Roma fan could have shopped around a bit for a better tattoo artist as this piece, which is an odd thing to get done to begin with, looks pretty crap to be honest. 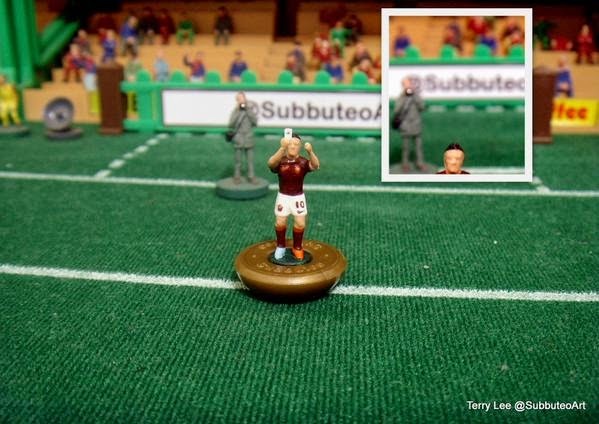 On the plus side though, the folks at Subbuteo-Art have also recreated the moment in much more convincing fashion with this model below.